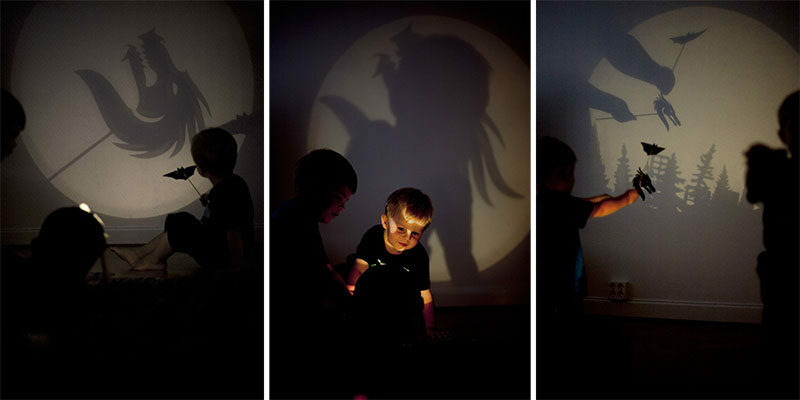 Inspired by watching children’s fascination with shadow play, Swedish designer Erik Bele Höglund has created Darkness Design – a simple light that allows kids to play with shadows without having to go through a complicated set up process. 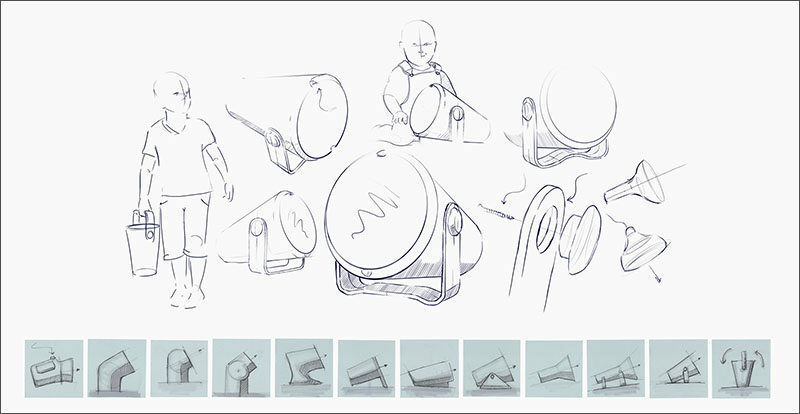 After sketching a number of different designs, Höglund arrived at one that resembles a bucket. 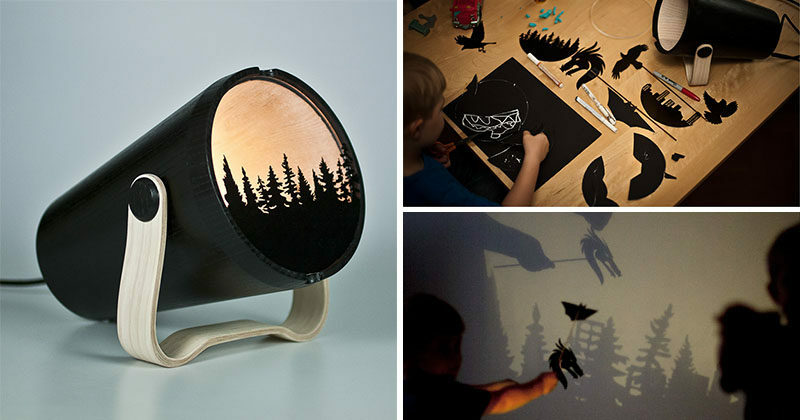 The design allows kids to easily carry the light from one room to another, and the wood handle can easily be pushed down to create a stand. 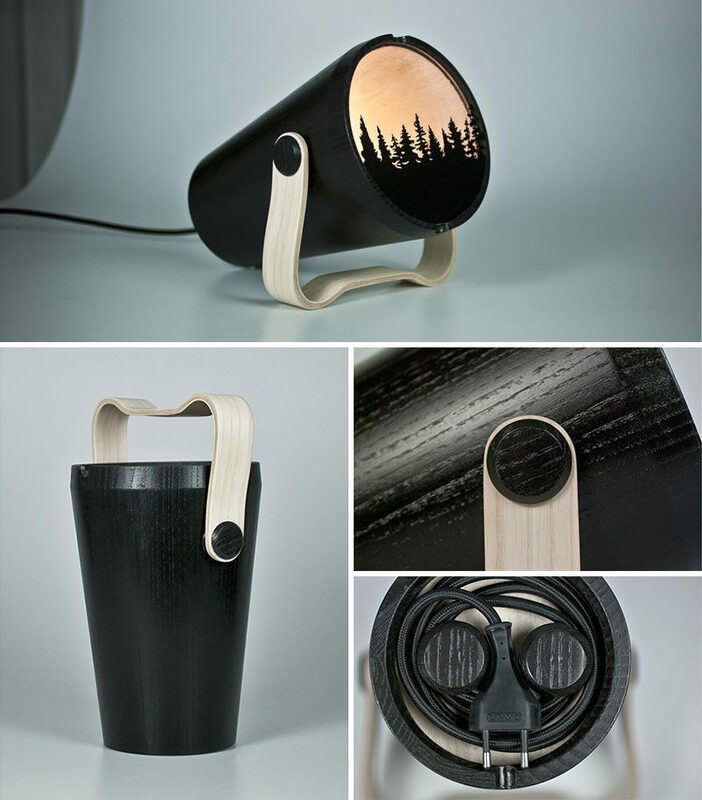 The lamp is made from a wood body with a wood handle and a plexiglass lens. Two circular knobs at the bottom of the lamp make it easy to wrap up the cord when playtime is over, but the sophisticated color and style make it an object you wouldn’t mind being left out. 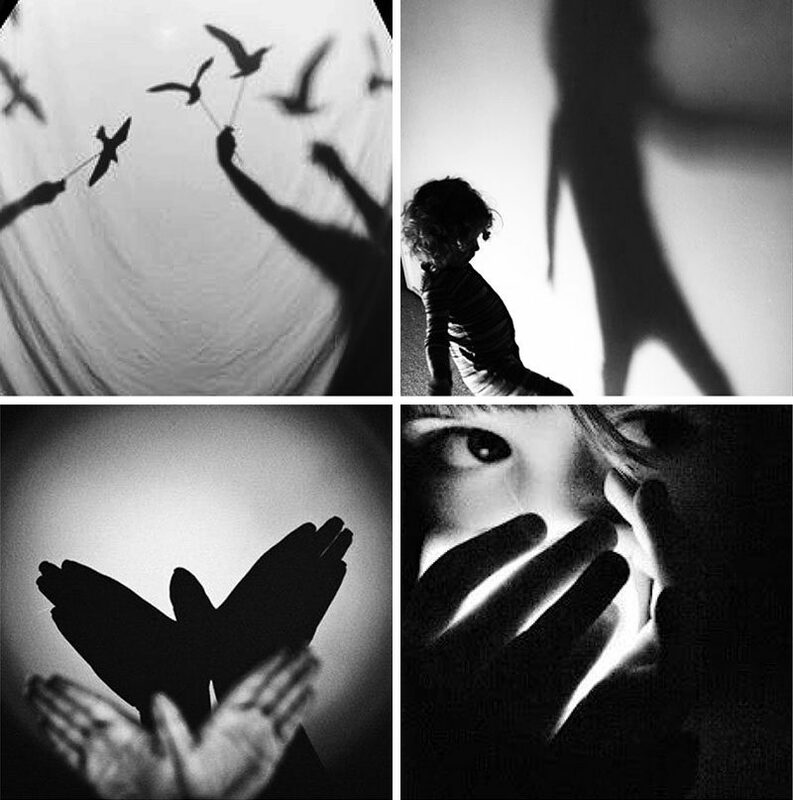 The lamp is designed to give kids the freedom to create their own interchangeable silhouettes or use the ones that come with the light and attach them to the plexiglass lens to set the scene. They can also use whiteboard markets directly on the lens to create custom scenes or enhance the ones that are provided. 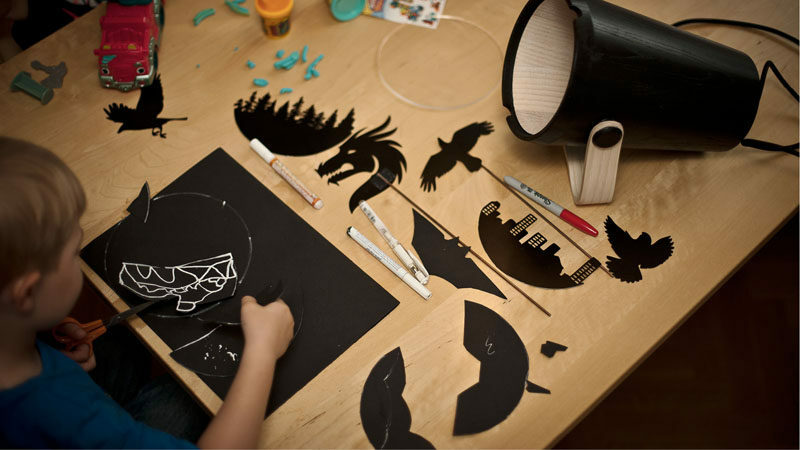 And, while using just hands can provide hours of fun, paper puppets on dowels or sticks take shadow play with the Darkness Design to a whole new level.